3 Bedroom Detached House For Sale in Canterbury for Guide Price £275,000. Immaculately presented and boasting period features throughout is this delightful 1930s detached cottage. The current vendor has resided at the property since the 1980s and during this period has sympathetically updated and modernised the property throughout. The cottage consists of entrance hall, lounge, dining room, kitchen, bathroom and lean-to/utility area from which access is gained to the rear garden. On the first floor are the three bedrooms. The home boasts feature fire places, exposed wooden floor boards and picture rails which gives the property a real homely feel and needs to be viewed internally to be appreciated. 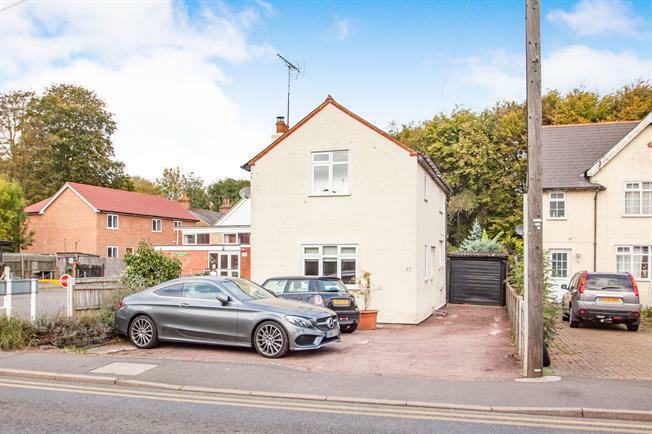 Outside there is a driveway and garage as well as an established rear garden, in addition the property also boasts planning permission for a two story extension to the rear. Please call Bairstow Eves at your earliest opportunity in order to arrange a viewing on 01227765527.